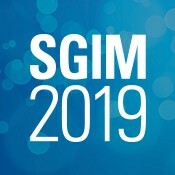 Join us in historic Washington, DC for the 2019 SGIM Annual Meeting, May 8-11, at the Washington Hilton. Submissions will open in September for Workshops, Clinical Updates and Interest Groups, and will open in November for Scientific Abstracts, Clinical Vignettes, and Innovations in Clinical Practice and Medical Education. Copyright © 2019 Society of General Internal Medicine. All rights reserved.